His 2018/19 season highlights include conducting the first semi-staged performances of MILA, Great Sorcerer, a new opera by Andrea Clearfield at the Prototype Festival in New York. He also conducts the world première of Coded Messages: Scenes in the Life of Harriet Tubman, a new chamber opera by Hilda Paredes with Muziektheater Transparant and HERMESensemble featuring Claron McFadden for whom this was written. After the première at the Muziekgebouw, Amsterdam in October 2018, the production will tour to the Cervantino Festival in Mexico, Huddersfield International Contemporary Music Festival, Rotterdam Opera Music Days, the Theatre de la Croix Rousse in Lyon, and deSingel in Antwerp. He will also make his debuts with Brucknerhaus Orchester Linz, Brussels Philharmonic, and return to Asko|Schönberg Ensemble with whom he will conduct the Dutch première of The Gender Agenda by Philip Venables. Highlights of previous seasons include his debut with the BBC Philharmonic in a selection of tone poems as well as Vivier’s Lonely Child; the world première and European tour of the chamber opera Be With Me Now at the Festival d’Aix-en-Provence; a new production of The Fairy Queen for Nederlandse Reisopera; Side by Side at Ulster Orchestra; Carte Blanche featuring music by Vivier with Cappella Amsterdam; and Connect with the Asko|Schönberg Ensemble. He also led several projects recently with the Chineke! Juniors during festivals at the Southbank Centre in London. Other notable projects include performances with the Dutch National Opera Academy, Netherlands Chamber Choir, Gulbenkian Orchestra, Netherlands Radio Choir, Silbersee/VocaalLAB, and the Tokyo Telemann Chamber Orchestra. 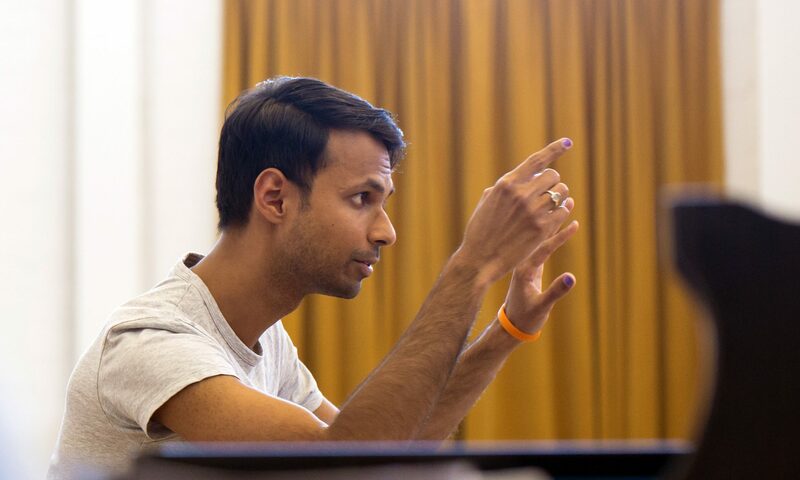 This season, Manoj will serve as assistant conductor for the Nederlandse Reisopera’s production of Korngold’s Die tote Stadt. 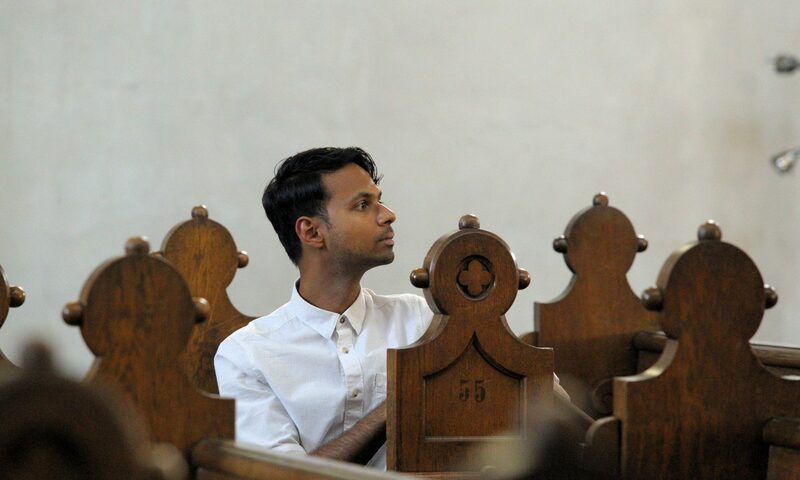 Previously, Manoj has assisted the Royal Concertgebouw Orchestra and Konzerthausorchester Berlin (for Iván Fischer), BBC Philharmonic Orchestra (Juanjo Mena), Dutch National Opera (Romain Bischoff), Royal Liverpool Philharmonic Orchestra (Andrew Manze), Prague Symphony Orchestra (Jac van Steen), Rundfunkchor Berlin (Simon Rattle) and the Netherlands Bach Society (Ed Spanjaard). He has also worked for Esa-Pekka Salonen and Sir Andrew Davis. For an audiovisual impression of Manoj’s work, please have a look at the Media section of this website. No alterations to this biography may be made without my permission. Please contact me if you wish to use this (or a shortened version of this) biography. A Dutch version is available upon request.